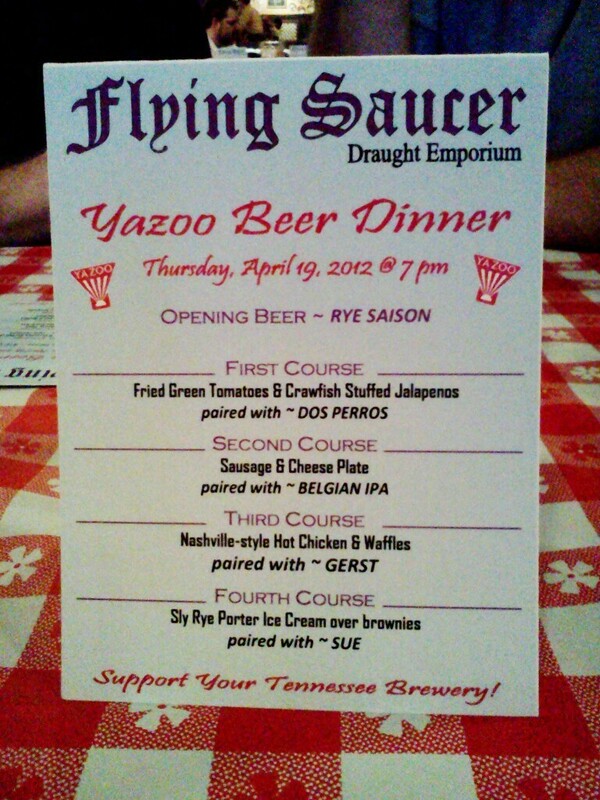 I recently attended my first beer and food pairing at the Flying Saucer Draught Emporium in Memphis, hosted by Yazoo Brewing Company. This was something that I wanted to do ever since the Flying Saucer began hosting these dinners about two years ago. However, I never went to one because I either couldn't afford it or had other stuff going on. After years of missing out on the fun, I was fortunate that all the stars aligned just right and I was able to attend this dinner. Unfortunately, I did it without many of my friends who stopped frequenting the Saucer because of its anti-smoking policy. Even without them, I still had a good time. 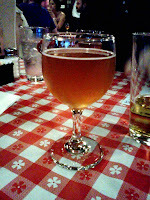 For starters, the dinner began with a glass of Yazoo's Rye Saison (shown above), a beer with a nice sweet flavor. It's really good and should have been paired with one of the courses that were served during the evening. I sipped some of it, saving the rest for the first course. About fifteen minutes after being served the Rye Saison, the first course arrived. 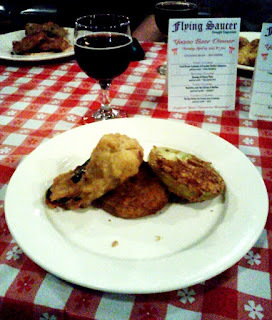 It was a plate of fried green tomatoes and a crawfish stuffed jalapeño served with a glass of Yazoo's Dos Perros, its feature porter beer. The fried green tomatoes were average and about the same as most places that serve it, so I won't say much about it. The jalapeño had a modest amount of stuffing in it (at the "top" of it where the stem is at), so for the most part I ate it raw. While I was eating this, I had three glasses of beer in front of me. The beers were the Dos Perros that my meal was served with, the Rye Saison and a Spaten Lager, the "Fire Sale" beer that I bought before the dinner began. Of the three, the Dos Perros was the least compatible beer for the first course, because I can't see how a hoppy beer can be paired with spicy foods like jalapeños. I know that this just an opinion, but when I'm eating spicy foods, I would rather drink something "smooth" that balances the flavor. That said, the Rye Saison was the better beer for the first course, for the sugary flavor diminished some of the bitterness of the jalapeño while making it more enjoyable to eat. The Spaten Lager was also a good pairing for the first course, for most lagers are more malty than hoppy. As a whole, the first course went over well, although I would have chosen a better beer to pair with it. After everyone finished the first course, we had a short wait before the second course arrived. While we waited, I got acquainted with some of my fellow diners. One of the guys who sat across from me knew a lot about beer. He pointed out all the qualities of the beers we were served that night which was very helpful to me. Although I have four "plates" at the Saucer and I'm smart enough to pair most beers with food, I am far from being an expert. It was great having a second opinion that could not only advise but challenge any assumptions that I had. I am also grateful that the guy sitting next to me, David, assisted me in photographing the dinner by providing lighting from his camera. 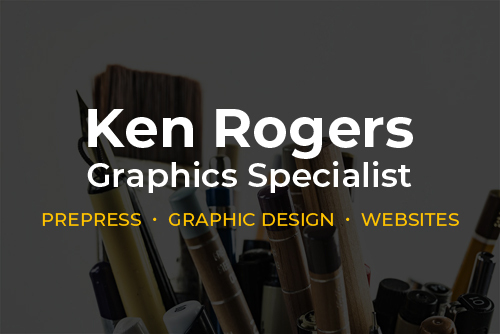 Unlike some people, I'm not fortunate enough to have best of everything, but I always try to do the best with what I have. And unlike some people (like a certain blogger who used to reside in Memphis), I will never slam someone for having less. Anyway, I was glad to have met my fellow diners who made my evening a memorable one. The second course of the evening was a sausage and cheese plate with mustard, bread and grapes. The beer that was served with it was Yazoo's Belgian IPA, which turned out to be a good choice. The beer was hoppy with a floral aroma, which was compatible with the entire course including the grapes. Personally, I would've chosen a lager, but I was satisfied with what I had and was anxious for the third and main course. 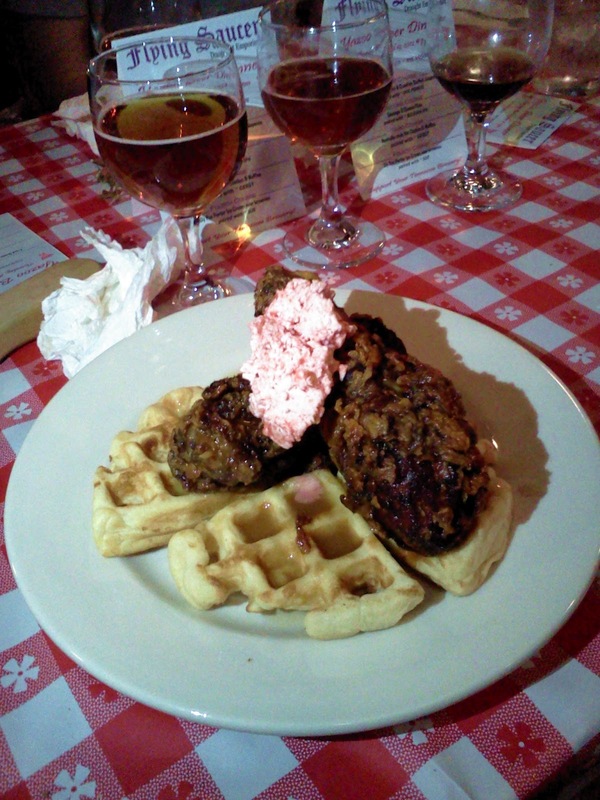 The main entrée was Nashville-style chicken and waffles topped with strawberry-flavored butter and paired with a Gerst, an Amber ale that's Nashville's newest brand and currently brewed by Yazoo. This was also a good pairing of beer and food, for the Gerst was a good counterbalance to the spiciness of the chicken and a great accompaniment to the waffles. As for the chicken, our host assured us that it was spicier than Gus's World Famous Fried Chicken which I felt was a heady claim to make. Unfortunately, the chicken's spiciness fell far short of that. Still, despite it being less spicy and overcooked, the chicken was good along with everything else. For the finale, the dessert was ice cream flavored with Yazoo's Sly Rye Porter with a brownie, a strawberry and a glass of Yazoo's Sue. With it being a "smoked" ale, I thought the Sue was a terrible choice as a dessert beer. Like with the Dos Perros and the jalapeños, the beer and food pairings were a mismatch, in my opinion. The bitter smoked flavor of the Sue just didn't mesh with any part of the dessert. If it was up to me, I would have paired the dessert with a wheat beer like the Yazoo Hefe-Weizen, although any of the beers that were served earlier (including the Dos Perros) would've been a better pairing than the Sue. For my taste, I would rather drink a smoked beer while eating a steak, a cheeseburger, barbecue or anything else involving meat. 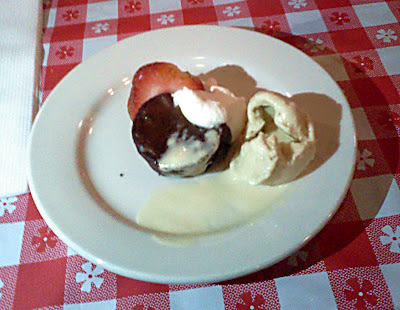 Fortunately, I had a bit of the Gerst left, which nicely complemented the dessert and allowed me to finish the dinner on a good note. Overall, my first beer and food pairing was positive and enjoyable. I appreciated the effort put forth by the dinner's host who entertained and educated the dinner party. I learned a lot about the beers of Yazoo and the culture of Nashville's fried chicken (I never knew it existed). Although I didn't agree with all the food/beer pairings, the experience was good enough to inspire me to take part in similar events in the future.